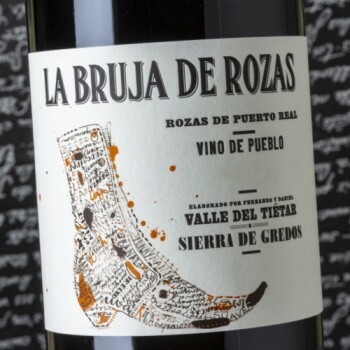 I tasted the 2017 La Bruja de Rozas from one of the most challenging vintages of recent times. The result is spectacular, but volumes are much lower. In this warmer and riper year, they also used a portion of the must without skins or stems to try to achieve a lighter wine with more freshness. It has the Rozas floral character, with a little more tannin, as I often see with warmer vintages. 35,000 bottles were produced in this vintage affected by hail, which also greatly affected this village. Crianza de 7 meses en barricas de roble francés de 500 litros.